Jungle Red Writers: A Modern Gothic thriller - real or fictional? 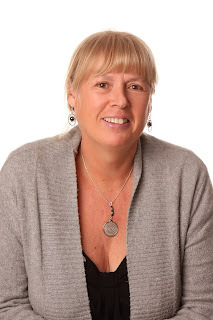 ROSEMARY HARRIS: Today's guest blogger is a pal from Canada. I think Vicki and I first met in Birmingham, Alabama at the very fun Murder in the Magic City/Murder on the Menu weekend where we both enjoyed our status as northerners! VICKI DELANY: I thought I’d enjoy joining in, late for the party as usual, the Reds’ discussion of real versus fictional places in their novels. I’ve found over the years when I do public appearances that the audience enjoys hearing about how we either make things up out of whole cloth or tweak something real to make it fit into fiction. My Constable Molly Smith series from Poisoned Pen Press is set in the fictional town of Trafalgar, British Columbia, for the same reason Julia created Millers Kill: so she wouldn’t have to worry about annoying people if she made a mistake. The town of Trafalgar is not-at-all loosely based on Nelson, B.C. It is Nelson, but Trafalgar gives me the freedom to move things around as I need to. For example in the fourth book in the series, Negative Image, what the room service waiter sees is critically important. There isn’t a hotel in Nelson that has room service, but under the guise of fiction, I can wave my magic wand and create one. I might have made up a town, but I have tried faithfully to keep to the flavour of the place, its beautiful scenery, isolated setting, wild assortment of eccentric characters. I’ve grounded the fictional location in reality so that readers do have a sense of where the stores take place - the characters go to Trail for autopsies, to Castlegar to catch a plane, even to Nelson to concerts or police meetings. On the other hand, my Klondike Gold Rush books are set in Dawson City, Yukon, in 1898. As Julia also pointed out, it’s important in historicals to get the details right. In this series the town itself is such an important character I wouldn’t have changed it for the world, nor did I need to. Sometimes you just can’t make better stuff up. My newest book, a standalone titled More than Sorrow (Sept 4, Poisoned Pen Press), however is set in a place so real, I live there. Prince Edward County, Ontario. The County is an island in Lake Ontario, a place of family farms, gentle hills, long sandy beaches, small villages and meandering country roads. Over the course of the book, I describe the train station in Belleville the nearest city, the main street of Picton, the primary town, the beautiful historic library on Main Street. I have a scene set in the library where, if you look closely, you’ll see me seated at my weekly bridge game in the side room that houses the historical archives. I was comfortable setting this book in a real setting because not a lot of action takes place in the town itself or other recognizable places. Unlike in the Molly Smith books, the Chief of Police or the Mayor – people known to small town residents as people not just job descriptions - are not characters. More than Sorrow is a modern-Gothic thriller set mainly on a farm and in an old farmhouse. As is the nature of Gothics I wanted a place that feels confined, where one can be isolated even if only in spirit, with a rich history. The real County is becoming an important place in the locavore movement with small scale and organic farms, local food, good restaurants making the most of what the land has to offer. I love all that stuff so hit on the idea of setting the bulk of the story on a small-scale organic vegetable farm. I spent some time at County landmark Vicki’s Veggies (no relation, as they say) learning about how a small family farm operates. What is now called Prince Edward County was originally settled in 1784 by Loyalists, refugees from the American Revolution. The houses those settlers built initially were small shanties carved out of virgin forest, so not much remains, but the County maintains strong links to the past, essential in any good Gothic thriller. And, again in Gothic tradition, the story of one Loyalist settler provides important background to the book. Because.. more than carrots and potatoes, soups and jams, are down in the dark damp root cellar. ROSEMARY: That's it, no trips to the root cellar for me. 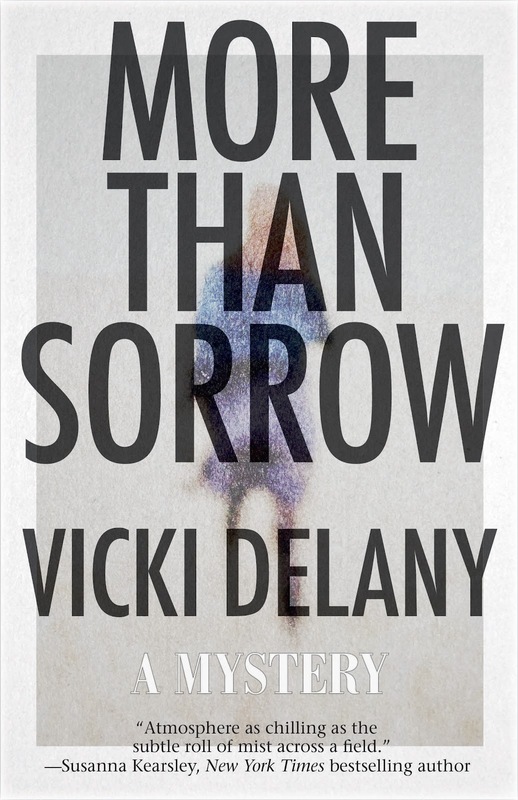 Leave a question or comment for Vicki and she'll choose one lucky JR reader to receive a signed copy of More Than Sorrow! Welcome Vicki! so glad you added to the "real places" discussion--I especially love that you put your bridge group into the library scene. What fun! Why shouldn't we have a cameo in our own books? Congratulations on the new book--September 4 is a big day around here! We did meet in Birmingham, Rosemary. They were all excited because it was snowing. I said "that's not snow. It's thick rain." Ha, thick rain. I live in Cincinnati, and know exactly what you mean. Do you mean that you are playing bridge in that book, or just in real life? Do you place yourself in every book, like Alfred Hitchcock's famous cameos in his own movies, or just the one book? That would be fun to watch for. Creating a whole town must be a challenge, especially remembering where you placed things. Do you need a place "bible" for this, or can you wing it? Welcome Vicki, from another Canadian. I like that you put your bridge group in your book. I'm sneaking the tea ladies down the street into one of mine. Thank you for joining the JRW ladies, Vicki. I thoroughly enjoy "meeting" you all but my TBR list keeps growing and growing. Not the worst problem to have, for sure! I look forward to reading your work. September is a great month for new books! As for the bridge game, Karen, I don't put myself in any of my books mainly because all my other books have been set in fictional or historic places. We do play bridge once a week in the archives room so it's more a nod to my bridge group than to me. Karen, I drew a map of Trafalgar, and a map of some of the locations such as Lucky Smiths' property or a section of town where events take place. Otherwise, I pretty much wing it. I can see Molly's apartment and John and Eliza's house in my mind. I'm generally not very well organized. I love when the settings for books are real places, or at least identifiable. For some books, it seems like it would be interesting to plan a vacation to see where the story took place. But then maybe that's just me making up a reason to travel! Very intriguing post, Vicki. I did the same with my fictional town of Ashford. It's really Ipswich, MA, where I lived for five years (just moved a few towns away), so I can see it clearly, but I renamed everything so I had that freedom to change things if I needed to. Can't wait to read your latest and will put the other series on my TBR list. Vicki, hey you! - Good to see you again! I am a real sucker for Gothics and yours sounds terrific. Can't wait to read "More Than Sorrow." Oooh, I love books with dark damp cellars. I hadn't thought about how "Gothic" connects to confined. So interesting. See you down in the root cellar, Edith. And Kaye, so great to see that you're now posting at Jungle Reds. Welcome, Vicki! I love your constable Molly Smith series. This stand-alone sounds intriguing, so I'll have to put it on my list ASAP. I ran into one good reason for fictionalizing location with my first book. I created the small town where most of the action took place, but used real locations for any forays into Kansas City. By the time the book was published, one location mentioned had been torn down and another business had closed down. So no matter how we try to be totally accurate to place, it's always changing during the slow publication process. So right Linda. In MORE THAN SORROW I describe the dark, tiny Belleville train station. Opps they opened a new one in the spring. I say that Main Street Picton has a drug store. Oops, it closed. Just can't keep up. Wow, Vicky, all those settings sound fascinating to me. I was leaning toward the 1898 Gold Rush, when you intrigued me by Prince Edward County settled by British Loyalists after the Revolution. I like any place with a strong tie to history, but maybe because my husband's family immigrated from Montreal in the 1700s down through Wisconsin, I find Canadian history even more fascinating. Thanks so much for that Jan. In Canada we have the impression that Canadian history is boring. Not at all. Of course, borning can be good, can't it, historically speaking. I really like your Molly series and can't wait to read this one - wish I could get across the valley to see you for Authors at the Teague! Hi, Vicki -- we met at Malice, where your "fascinator" hats were fascinating! Leslie, one of my daughters lives in Nelson. It's my favourite place, and when I started the series I was still working in Toronto. I need, metaphysically at least, to be somewhere I loved. BTW everyone, the Crime Writers of Canada are having a reception at BOUCHERCON. Friday night after the live auction. Thank you, Vicki! I look forward to reading your Modern Gothic thriller, partly because I know that part of the world, and partly because it sounds dark and delightful. Interesting thoughts on places real and imaginary. Vicki, what a great title! And Prince Edward Island has been on my "must see" list for years, so now eager to read your book. AND I love the locavore stuff. What a great combination! At this point, I have read one of your novels,and I can't wait to get my hands on more. The characters seemed like people I could run into somewhere...so true to life! Hey,Vicki! Welcome..yeah, even our basement is scary. I have NO idea what's in there.Someday, we'll clean it out. Yeesh. Thanks, Debs. But I must mention that Prince Edward County is in Ontario (it's due north of Rochester). It is an Island, however it is not Prince Edward Island. Hank's apology is accepted. But I am not quite sure why Rosemary needs apologize for the Boer War. The Americans weren't involved, although Canadians were - unfortunately. If you want to talk about long memories mention the Boer War to an Afrikaans. They call it the Anglo-Boer war. The black people in SA call it the South African Civil War. P.S. I love the Jungle Red blog, but you do have the hardest captcha I've ever come across. A gothic book sounds good. You lived in Toronto? I've been there twice. I'm in Ohio so it's not that far away. I clicked the link on your website and looked at the bookstores like The World's Biggest Bookstore and Indigo in Eaton Centre. I visited both of them when I was in Toronto. Of course I liked the big one best and stayed there awhile. I bought books about Canada, one about Niagara Falls, and others about various provinces. They have lots of pictures in them. Speaking of wars, The Battle of Lake Erie with Oliver Hazard Perry took place near Put-in-Bay, about an hour or so from where I live. I guess it was the British vs. the Americans. The captcha codes are a little easier to read if you move a little bit back from the screen. Thanks for the tip, Michelle. I hear that the World's Biggest bookstore is closing soon. It's now just owned by Indigo though. Waving from BC! (Vancouver) I just finished reading IN THE SHADOW OF THE GLACIER a couple of weeks ago. Really enjoyed it! Your description of Prince Edward County sounds so lovely I'll have to try your new book, too! A wave to you too Sheri! Hooray, I found your books on Audible. I have a question for authors. Is it any better for YOU if we buy a print copy, an ebook, or an audiobook? I love audiobooks but if authors lose anything with that format I'll go back to print. Thanks! Thanks for asking Marianne. It depends on the author and their contract with the publisher. I make most from hardcover; then e-books; then trade paperback; then audio; and the least from large print. Some other publishers give very poor e-book royalties. But really, read the way you most enjoy. We make nothing at all from the sale of used books or lending between friends. We like to see our books in libraries because libraries pay and in Canada we get a small bit from having our books in libraries. I want to be sure I support our authors in the best way since you give us so much. Fascinating. Looking forward to reading your book.